My right side headlamp is out, tested bulb on the other side, okay. Thought might be fuse, and there the fun begins: manual does not list fuses, and the three locations for fuses, does not give headlamps as a description. The headlight fuse is in the fuse panel on the side of the dash here are some diagram I found that will help you. Also there is a full headlight wiring diagram 8 posts down so be sure to check those out. Let me know what you find so it will help others. Thanks for your kind reply. I checked the fuse panel to the left of the dash, and found no description for headlights. Also, the first of the two images you provided, does not describe accurately where the fusebox is to be found, which is to the left of the driver's side dash, accessible only with the driver's door open, not below dash as in the image. The vehicle is still new so I had to use 2014 specs, do you have the owners manual of the car? Thanks for quick reply Ken. It looks like the headlights do not use a fuse, it is controlled by a lighting module, can you check all fuses? Thanks Ken, that's good information, I like the idea of testing fuses using a test light. I shall get back to you with what I find! Hi Luigi. Have you fixed the problem yet? I got the same problem here. 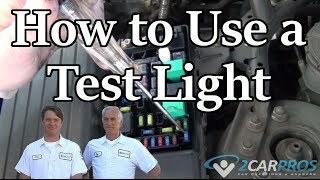 I tested the bulb and it's still good; however, my driver side headlight won't turn on, so I think the fuse has blown; however, I couldn't find the fuse for the headlight. Please let me know if you have fixed the problem and how. Thanks a lot. There is a amplifier and a handful of fuses and relays that need to be check or replaced depending on if you have LED or Halogen lights. Here are some wiring diagram for you to help fix the problem, use a test light. Please run some tests and get back to us so we can continue helping you. Hi Ken. I have the halogen headlights. Are all the fuses and relays in the engine compartment under the air duct? I did some research online. The 2nd generation Rogue don't have a fuse for the headlights anymore. Do you think it's the BCM? Also, I saw some articles saying the headlights have an auto reset breaker. Do you know how to reset them? Thanks. I ended up taking my car to the shop, for the dealer where I purchased it - I had bought the HID conversion kits for the dipped and full beam lights. The shop had notified me that in my state of WV, it is not permitted to change the dipped beam lights to HIDs, unless they came with them, so I ended up removing them, and putting the OEM lights back in; this has meant that the previous failed bulb now works, suggesting that the ballast was faulty.